Kenneth Branagh's new live action version of the Disney's Cinderella is earnest and conventional and assertively traditional. It hews so closely to the original in terms of plot, characterisation, costume and values that I can hardly believe they bothered to spend the money to remake it. The resulting film is sumptuously designed and gorgeous to look at. The costumes are truly Oscar-worthy. The acting is first-rate with Cate Blanchett's wicked stepmother and Helena Bonham-Carter's fairy godmother stealing the show. But as much as I tried to look through the retrograde politics, I just couldn't. That said, this movie has taken so much money, apparently people don't mind that. Maybe Kenneth Branagh is right, and after all those post-modern fairytales there's an appetite for the traditional and unchallenging. But I find it all rather sad. What makes this move back into traditional values so bizarre is that Disney has presented CINDERELLA with a short movie based in the FROZEN universe - a universe predicted on the power of sibling love, the importance of accepting yourself, and a subversive rejection of the ideal Prince Charming figure. For that to be followed by this version of CINDERELLA which sees a marriage to a Charming Prince as its ideal end-point is schizophrenic, to say the least. Worst of all, this film celebrates passivity to an extent rarely seen in literature or film, and challenging to the dramatic narrative of the film. This Cinderella (a charming Lily James) has been taught by her dying mother (Hayley Atwell) that to triumph in life all she needs is "to have courage and be kind". But the courage isn't a battle-courage but a courage to endure suffering. Added to this, Cinderella has added her own attributes of refusing to confront the reality of her situation and make changes but to live in a kind of delusional dream-world, feeding herself on happy memories, singing songs in her attic. At one point her stepsisters mock her as mad, but isn't there a kind of madness in wilfully trapping yourself in an attic of memories rather than moving forward. Which brings us to the most disturbing scene in the film, where Prince Charming stands at Cinderella's front door with a glass slipper, and she doesn't go down to him. Rather, it's the little mice that push open the window so that he can hear her singing and realise she's there. I haven't seen as passive a heroine since reading Jane Austen's Mansfield Park, but shorn of the Christian symbolism of that novel, the passivity here is far harder to take and arguably a reprehensible role-model for young girls. The upshot is that CINDERELLA does what it sets out to achieve with style and elegance. It is the traditional Cinderella that Kenneth Branagh set out to make. But I'm not sure he realises what an aggressive political statement that is, and I'm not sure Disney realises how confusing that is for its brand. 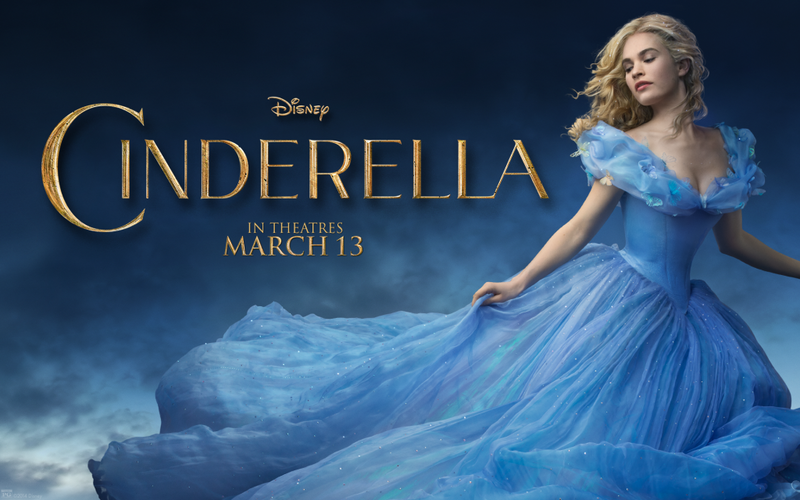 CINDERELLA is on global release, has a running time of 120 minutes and is rated PG in the UK.